Good punctuation is what holds your essay together. From boosting the clarity of your work to contributing to meaning, punctuation serves a variety of functions. Your school or college might have their own specific Essay Style Guide. If this is the case, ensure that you have read it thoroughly and understand what is expected of you. We have created a more general guide to the basics of punctuation which should be considered vital reading for all those who want to make sure their essay passes the punctuation test. Each sentence should begin with a capital letter, as you are sure to know. However, other situations require an upper case letter too. Capital letters are needed when particular, specific things are referred to. Generally, each sentence you write should conclude with a full stop. e.g. Could it be that the author is using the sun to represent the character's happiness? Full stops should also be used to signal where words have been abbreviated. Commas indicate pauses in a sentence but can be used in a variety of ways. They should be used to separate words in a list. e.g. The man could speak French, Spanish, Latin and Japanese. Commas are needed to separate adjectives which describe the same noun. e.g. The small, timid mouse hid under the stairs. Clauses embedded within a sentence should be surrounded by commas. e.g. I was tired and lethargic, despite having had ten hours sleep, so decided to return to bed. Use commas to separate one clause from another within a sentence but not for those joined with linking words such as 'and' or 'but'.e.g. Quick and agile, the fox jumped over the gate and entered the next field. 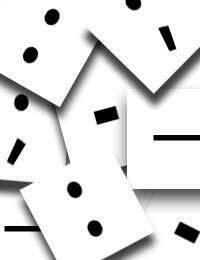 Semicolons are used to denote a pause which is longer than a comma but shorter than a full stop. They are used to separate ideas or groups of words in a list. e.g. Imogen bought a magazine to read on the train; a puzzle book to give to her sister; a banana to boost her energy; a bar of chocolate as a treat and some water to keep her hydrated. Semicolons are also used to separate clauses in a sentence which are closely related. e.g. Jack was feeling confident about his exam; he had been revising regularly for over a month. Try to use a variety of sentence types in your essay. Use short, simple sentences to make an impact. Use complex sentences to explain the connections between a group of ideas. Use compound sentences to convey information. Using a variety of sentence types will help your essay to flow. You should begin a new paragraph whenever you move onto a different point or topic. Try to introduce the theme of the paragraph in the opening sentence to make things clear for your reader. Sophisticated essays create links between different paragraphs, so you might like to experiment with that. Try not to use brackets too often and only include a few words within them, as they can disrupt the flow of your essay. They are used when you add some extra information to a sentence.e.g. The novel (which was written in 1956) is set during the First World War.